A woman was killed and five others injured in a mass stabbing in central London last night. 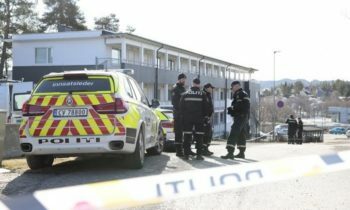 A 19-year-old Norwegian national of Somalian descent has been arrested in connection with the attack. After earlier saying a terrorist motive could not be ruled out, the Metropolitan Police now say there is no evidence the suspect had been radicalised and believe the attack was a result of mental health problems. “At this point we believe this is a spontaneous attack and the victims were selected at random,” said Assistant Commissioner Mark Rowley. 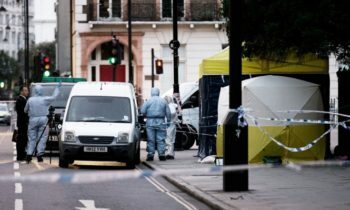 Given the recent attacks across Europe, Scotland Yard’s SO15 counter-terrorism command had initially been called in to assist with the investigation, he added, and a heightened armed police presence would continue across the capital “for as long as necessary”. Police were called to Russell Square at 10.33pm yesterday to find six people had been injured. One woman, a US national in her 60s, was treated at the scene but later pronounced dead. 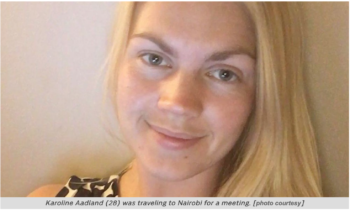 The injured include British, American, Australian and Israeli citizens. None are thought to have life-threatening injuries. 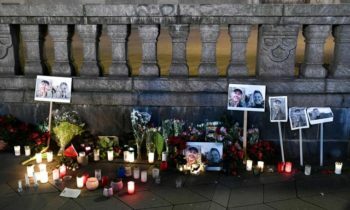 London Mayor Sadiq Khan, who cut short his holiday to deal with the aftermath of the attack, said his “heart goes out the victims and their loved ones”. Another witness, Jodie Parry, told the BBC she saw a man carrying a knife and with blood on his hands running away from the scene. “I could hear the policeman screaming, ‘Stop, don’t move, don’t go any further, just stay where you are’ and he turned around and continued running,” she said. The suspect was Tasered by police. Hundreds of extra armed police have been placed on the streets of London to protect the capital from a possible terrorist attack. However, local resident Paul O Geibheannaigh, who witnessed the aftermath of last night’s stabbing, said he did not think security forces could prevent such incidents.